This week we watched one of my favorite Christmas movies- Elf! 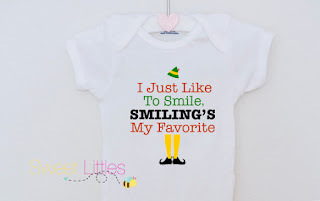 Best thing Will Ferrell ever did, and now a namesake movie for the world's cheeriest baby (so appropriate). We usually watch it while we put up Christmas decorations, because it is bright, spirited, and has a great soundtrack (Brian Setzer Orchestra doing the Nutcracker Suite is the best). 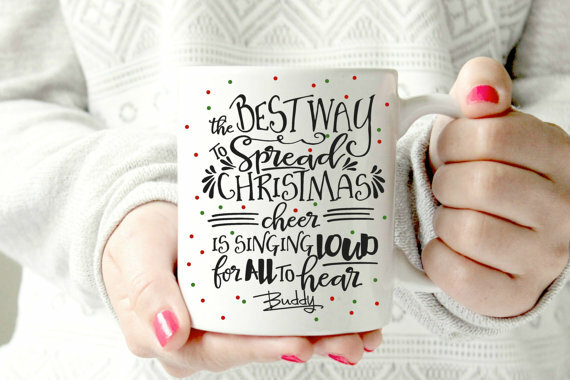 If you are also a fan, you aren't alone and a bunch of people on Etsy are selling cool Elf-inspired stuff (like this adorable mug)! Look it! Dainty Dirtbags (Columbus, OH) sells all sorts of hilarious t-shirts (including ones honoring the Beloved Barb), but their commitment to Buddy the Elf might be my favorite. 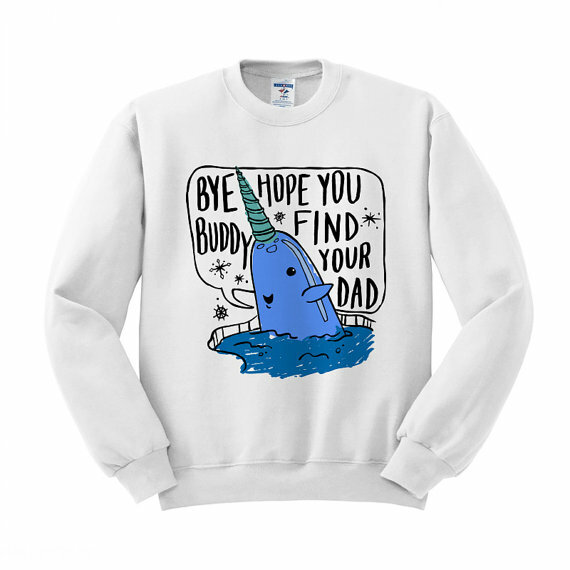 Check it out if you need a special decorating shirt every year. Strong Girl Clothing (Arizona) also makes some of my new favorites. 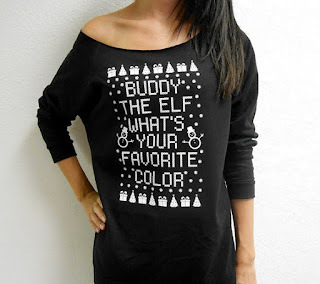 Perfect for the woman who loves a holiday theme shirt (because you are awesome). Sweet Littles Inc (Florida) makes onesies. 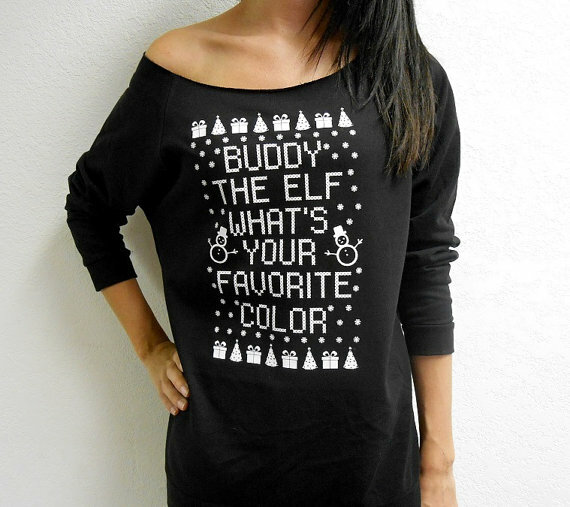 Kind of like the Elf-themed t-shirts,but smaller. 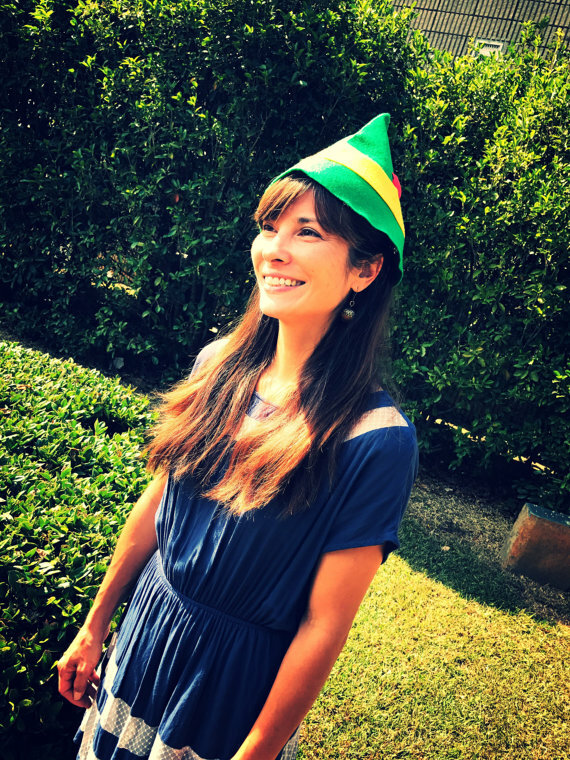 Widdershine and Bones (Georgia) is a store entirely devoted to Peter Pan and Elf hats. Because we live in a truly strange and wonderful world. I think these are adorable, and maybe the elf party can overtake ugly sweater parties. Bad news everybody, ugly sweaters are over. 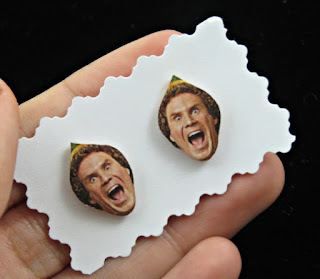 If I can find Elf presents on here, you can definitely find the gifts on Etsy that you want to buy loved ones. 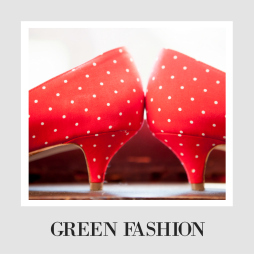 Want even more eco-friendly and local shopping inspiration? 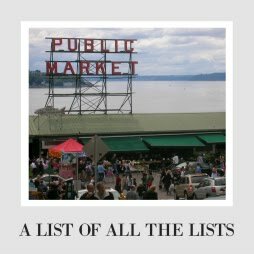 Check out my Giant List of Ethical and Eco-Friendly Shopping Lists.